The Presidential Commission on Election Administration (PCEA, or Bauer-Ginsberg) released its report this week. While I support nearly all the recommendations in the report, they miss a key point about data modeling. First, the good news: The report provides excellent recommendations on electronic voter registration, early voting, absentee ballot tracking, the use of school as polling places, and the availability of resource calculators (this tool is better than mine). And I was very happy how much the committee relied on the work of professors Stewart, Ansolabehere, and others. Addressing long lines requires systematic procedures to spot when and where long lines occur. Keeping track of wait times at individual polling places can be done using simple management techniques, such as recording line length at regular intervals during Election Day and giving time-stamped cards to voters during the day to monitor turnout flow. Election officials have a ton to worry about on Election Day; adding to their stress by suggesting they hand out time cards is an unrealistic and unnecessary burden. We shouldn’t expect expect local election officials to go through the trouble of exactly monitoring wait times when post-Election Day they would have results for only (say, for example) the 15 precincts in their county, many of which are likely homogenous. To produce great models, data analysts need many data points and heterogeneous input variables. Both criteria help the model understand exactly what happens under different conditions, and local election officials may not be able to satisfy either one. A better approach would be to fund or promote national projects that inform us about our election system. For instance, Prof Stewart’s survey provided information on wait times, and Foursquare’s “I Voted” badge lets us know when people vote (middle of infographic). We should expand these existing efforts, as well as fund new ideas, such as a web app that records wait times (ala TSA wait times). These data and models can then be integrated into the next generation of resource calculators, which are easy to disseminate to local election officials. These officials are incentivized to use the calculators to double check that they have the proper amount of equipment assigned to each precinct’s polling location, ensuring they don’t have egg on their face later. In sum, let’s not give local election officials more work; instead let’s provide them with the tools they need to conduct successful elections. One year ago today, Aaron Swartz took his own life. One of his most impressive qualities was his appetite for reading books. For instance, he read 70 books in 2011 and kindly posted his thoughts on all of them on his blog. In memory of Aaron and in that same spirit of sharing with the community, here are the best books I read in 2013. I am Malala by Malala Yousafzai — The riveting, first-person story of a teenager from the Swat Valley who stood up to the Taliban. It will bring you to tears and inspire you to pursue great things with your life. Zealot by Reza Aslan — a compelling narrative of the Life and Times of the historical Jesus, Aslan answers such interesting questions such as: why was Jesus said to have been born in Bethlehem when he was from Nazareth? Why did he overturn the money tables? What’s the meaning of the “Render unto Ceaser” quote? Why is Paul, who never met Jesus, such an important figure in early Christianity? And, perhaps most crucially, what happened to Jesus’s brother, James the Just? Far From The Tree by Andrew Solomon — an incredibly in-depth books about having children with horizontal identities different than yours (e.g., deaf, gay). A must read for perspective parents. 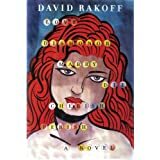 Mean and Lowly Things by Kate Jackson — How would handle 30 days in the Congolese jungle trying to find new species of snakes? Not as well as Kate Jackson who, amazingly, outlasts the locals. An educational and inspiring tale. Mountains Beyond Mountains by Tracy Kidder — the story of how Paul Farmer is changing the world through medicine. I actually didn’t like Kidder’s writing style and I hope to pick up a book by Farmer–giving a first-person account–sometime in 2014. Thinking Fast and Slow by Daniel Kahneman — a seminal social psychology work that I should have read a long time ago. Writing on the Wall by Tom Standage — how social media has developed (and shrunk at times) over the course of civilization. Euro-centric, but interesting. Intersects with the ideas Zealot when talking about Paul’s letters (e.g., his letter to the Corinthians). The Gamble by Sides and Vavreck — political science applied to the 2012 election. One book such as this needs to be published each presidential cycle to push back against the unsupported-by-data media narratives. Political scientists don’t need to read this book; journalists do. 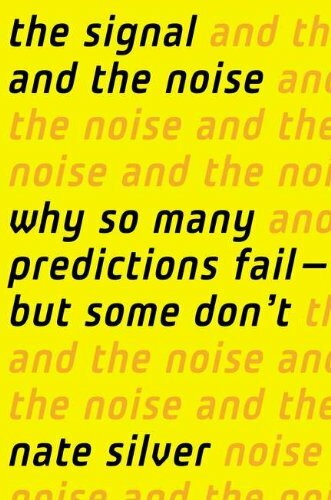 The Signal and the Noise by Nate Silver — how statistics influences a variety of fields, from sports to the weather. I love the explanation of Bayesian statistics. 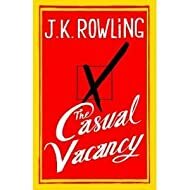 The Casual Vacancy by JK Rowling — in which Rowling proves that she can write about more than wizards. A wonderful book for people who like politics, as the story revolves around a local town council. Harry Potter and the Methods of Rationality by Eliezer Yudkowsky — I believe I started reading this in 2012, but the story isn’t finished yet (it will wrap up this year), and I have to include this fantastic story on this list because I believe I learned about it through Aaron Swartz telling Taren about it, who then told me to check it out. And I’m glad I did. Furthermore, Yudkowsky recommends Worm, which I quickly became addicted to. May Aaron’s life inspire others to both read and act. Hope this provides a few more laughs today. Kept Obamacare phones open all through the night. Were giving us workers severe indigestion. For her concert-based aches, from a jerk to a twerk. If his coverage extended to Russia? Peru? And from Cuba, Diana did give us a ring. Little George will be covered, as with all in his State. But oh no! In the Superbowl’s fashion our power went black! And Voice Over IP meant dial tones we did lack. Through our windows we saw some bored teens on the lawn. They were cutting up fiber while waiting for dawn. The gang of kids snickered, our rage no deterrence. It happened so quickly the teens couldn’t scatter. We stood back in awe as a figure descended. It took but a moment; then all comprehended. “It’s the Pope!” a gal cried, out of fear that he’d trounce her. The teens, they all cowered from this former bouncer. “No need to fret, I’m not that kind of Pope. Bring neither brimstone nor fire, I preach passion and hope. “I get it, you’re young; you think you’re the ‘invincibles’. And there’ll be time yet to compose your own principles. But tonight brings the chance to save thousands of lives. And improving the world means much more than a rhyme. “If you undo your deeds and restore building power. Those in need will get care; though 11th the hour. And since you’re all here, maybe buy some yourself. And with the teens help, our last calls were complete. We thanked the Pope kindly as he washed our feet. Just a beat up Renault took Pope Francis away. The Google Civic Information API, along with an intro article, and sample app. And, new within the last 24 hours, a GitHub repo of post-2010 precinct shapefiles. In this modern era of electronic transfer, we should throw out the old model of monthly benefits. The government should give recipients the option of receiving their benefits weekly, perhaps even making this option the default distribution frequency. Individuals and businesses would both benefit. I’m sure monthly physical checks made sense in the 20th Century, but they don’t anymore. Today is the one-month anniversary of the Obamacare health exchanges, and while it has not been a smooth rollout, the exchanges are already helping a million citizens sign up for private coverage, who represent about 2 million Americans in those plans. Millions more are signing up for the Medicaid expansion. Clearly the federal government and states were not prepared for the overwhelming demand for affordable health care. Whether a flood of customers, which reveals underlying issues, is a success, failure, or somewhere in between greatly depends on your point of view. For instance, Capital Bikeshare — DC’s system of shared bicycles and stations — is highly regarded even though it’s struggling to meet the demand. I recently moved to a location where bikeshare made sense, so I bought a membership. Unfortunately, there is never a bike available in the morning when I want to leave my house (and I’m not alone). My solution is to work from home until an app tells me a bike is finally available. These “headaches” are comparable to users having to sign up on Obamacare late at night when few users are hitting the system. Of course, the comparison isn’t perfect. Capital bikeshare didn’t have to serve bikes region-wide starting on October 1st. And Obamacare’s failures go beyond a tsunami of demand. That said, it’s a fine line between the success of Capital Bikeshare and the glitches of Obamacare. 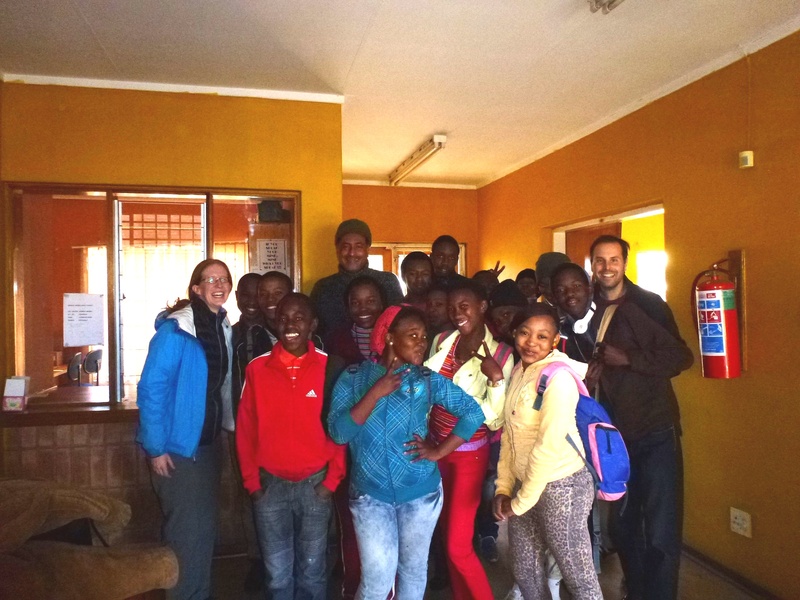 December 2013 update: Donate to the new Teboho school! My girlfriend and I recently returned from a three-week South African vacation, throughout which we had many fantastic experiences (e.g., sleeping here and here). By leaps and bounds, the most rewarding experience was volunteering teaching at the Teboho Trust school in Soweto. As background, Soweto is the area of Johannesburg where black Africans were exiled by the Apartheid governments of South Africa. As you might expect given that history, Soweto is beset with extreme poverty. The tuition for the Saturday Academy that we volunteered in was 1 South African Rand, or about 10 cents per day. Teboho realizes that even this minuscule amount is a hardship for many families (indeed, most students in my class did not have the one Rand to pay), and thus the school allows kids to sign up tuition-free if their parents volunteer in some capacity. At 8:30am, all the students gathered in a large classroom for morning assembly. Capturing the attention of 120 kids whose ages range from 5 to 15 is hard under any circumstances. But this task was compounded by the fact that this particular morning was a cold (winter) August morning, with the wind whipping through the broken windows and chilling our bodies. (Certainly there was no central air.) To compensate, a few leaders led the group in song and dance to warm our blood. And, amazingly, everyone joined in, ignoring the external hardships and focusing on the community of people around them. The best way to understand how Teboho perseveres and flourishes in such an environment is to watch Jose Bright’s TEDx talk about Teboho (Jose is CEO). Trust me, you won’t regret it. I was assigned to third grade as a teaching assistant. Many of the regular teachers had failed to show up because of the weather, so the 4th graders joined us as well. After Katie, the regular volunteer teacher who was amazing with the kids, went over spelling and grammar, I started a math lesson. (To my chagrin, Katie had to leave soon after I started teaching.) The kids already knew fractions (impressive for third graders), so I decided to teach the kids how to reduce fractions. I introduced the concept poorly, and many kids struggled on the first quiz I gave them. Watching the kids work on problems themselves shed a ton of light on how they would be able to internalize the lesson. I shifted my presentation, adding visual representations to the arithmetic approach, and nearly all the kids aced the second quiz. I was incredibly proud of them. After lunch, I was assigned to the high school boys and requested use of the computer lab to teach global warming and Google Spreadsheets. After discussing the basics of global warming for about 20 minutes, I divided the class into teams of 4 or 5 that huddled around the three computers that had a working Internet connection. Each group calculated their carbon footprint — a lesson plan I stole from volunteer teaching at a Trenton, NJ high school. As you might expect, their footprints were much lower than the results I was accustomed to see in Trenton, but the recommendations of how to reduce their footprints were still useful (e.g., bike to a destination instead of taking a shared taxi). The highlight of the day came next: I introduced the students to spreadsheets, which they had never seen before. I can only imagine how the students experienced the Internet prior to that day — as this fantastical machine that tracked the statistics of all their favorite sports stars? Did the students envision thousands of people monitoring games and carefully updating every single website with results by punching in each individual number? Perhaps the high schoolers chalked it up to something akin to “magic.” As I watched the kids create a formula and then “fill down”, the look of awe and enlightenment on their faces will be something I will always treasure. By the end of the lesson, the kids were creating time-series graphs to track the performance of their preferred soccer teams! A remarkable day all around. P.S. To help right now, you can donate to Teboho Trust. By reading Cherish/Perish: it helps heal the wound.